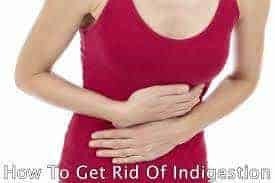 Today you will learn how to get rid of indigestion with different safe and easy natural remedies as compared to over-the-counter medication. Indigestion is a common situation among people which can make someone be uncomfortable as a result of the pain being felt. Many people who suffer this problem find it difficult to sleep due to the pain. In order to avoid getting indigestion, you will need to know the possible cause and how to get rid of it naturally. Overeating: overeating can cause indigestion, many people eat irrespective whether the body needs it at that time. Try to limit your eating for a particular meal. Underlying condition: maybe you are having some unknown medical issues that may be causing you indigestion. If that is the case, seeing your doctor will be just what you need. Knowing the possible causes, you may also want to know some of the natural home remedies that you can employ to get rid of it effectively. Keep it in mind, if indigestion persists or the symptoms are unusual seek medical attention. If you know that you have been experiencing indigestion after eating spicy foods, you should be aware that taking fennels seeds will help you ease the problem of indigestion. Fennel seeds help the problem that results from spicy food intake and also reduces nausea making you feel better. Grind the roasted fennels seed. Repeat this procedure two times a day. Peppermint tea is powerful and can give quickly relieve you from issues relating to difficulties in digestion. Due to its cool nature, it helps to soothe indigestion and make one feel better again. 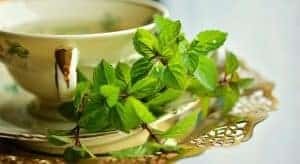 Make a tea by adding the peppermint tea sack into a warm glass of water for about three to five minutes. Drink the solution while enjoying the benefit and soothing indigestion. Ginger increases the rate of digestion and thus decreases the rate of indigestion. You can consume ginger if overeating is the cause of your indigestion, this will help to speed the movement of foods quicker through your stomach. Grate a root of ginger. Put it into a warm glass of water. Add a small amount of juice lemon and some drops of honey to sweeten it. Finally, drink the mixture to get relief from indigestion. Apple cider vinegar is a popular natural home remedy ingredient used for many of health problems. 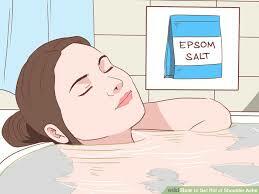 For instance, it can be used to cure skin issues and hair issues. ACV is also good for handling indigestion that causes discomfort. Put a teaspoon of ACV in a glass of water. Add a few drops of honey to it. Take this remedy about 3 to 4 times daily. Doing this will help get rid of indigestion. If you are experiencing indigestion as a result of overeating or from foods that are not OK with your body system, drinking water may help you ease the pain and lessen indigestion. You may also drink lukewarm water but never take too much water as it may make the situation worst. When having indigestion, it is wise to moderate and adjust your food intake. Certain soups. There are various soups you can eat. Fatty foods should be avoided during indigestion periods because this only exacerbates the problem of indigestion. If you are the type that hastens in food chewing, you will probably have indigestion difficulties because when you do that, the food will not blend properly. Try eating slowly so that it will be easier for the enzymes to act on the food to break them down to lessen the task on the remaining part of your digestion system. 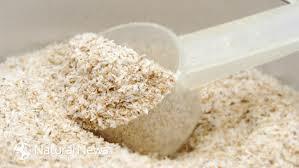 Try to include fiber rich foods in your meal such as vegetables and fruits. Stay away from some dairy products. Apart from seeds of Fennel, Camron seeds are another type of seed that can help to solve indigestion pain. The seeds contain digestive properties that assist to eliminate indigestion faster. Grind or get the powder form of carom seeds and then add grated ginger to it. Put into a glass of warm water and take it. You can do these two times a day. For many, there is no silver bullet for indigestion. There is a path of discovery required to understand the cause and find an acceptable remedy. Hopefully, these home/natural remedy tips will help you find a solution.